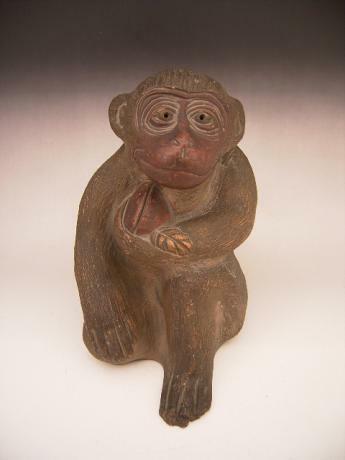 Japanese 20th century wooden OKIMONO of rat by master carver OHNO MEIZAN (1896-1981). OHNO MEIZAN was born in Shimane Prefecture, Japan in 1896. He participated in many of Japan's major exhibitions, such as INTEN. OHNO MEIZAN was an apprentice of famous artist TAKAMURA KOUN. 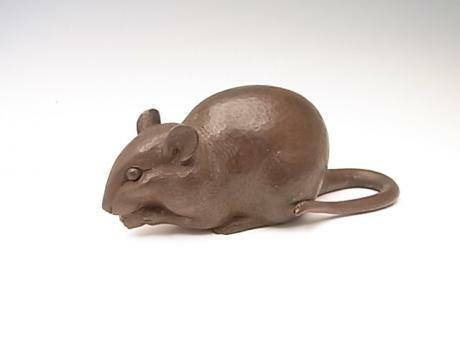 The rat measures 2..
Japanese 20th century wooden OKIMONO of cat by master carver OHNO MEIZAN (1896-1981). 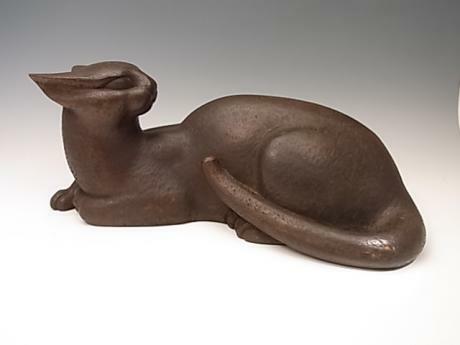 This cat is dated 1943 on back of the lid of the TOMOBAKO. OHNO MEIZAN was born in Shimane Prefecture, Japan in 1896. He participated in many of Japan's major exhibitions, such as INTEN. 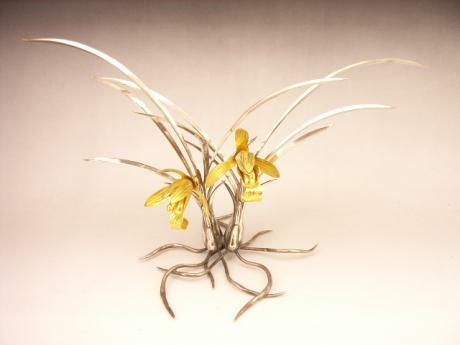 OHNO MEIZAN was an ap..
Japanese early 20th century pure silver cymbidium orchid OKIMONO. The OKIMONO is done in beautiful detail and realism. Signed Soko. The OKIMONO is titled "Orchid". Comes with TOMOBAKO, original wooden storage, artist signed box. 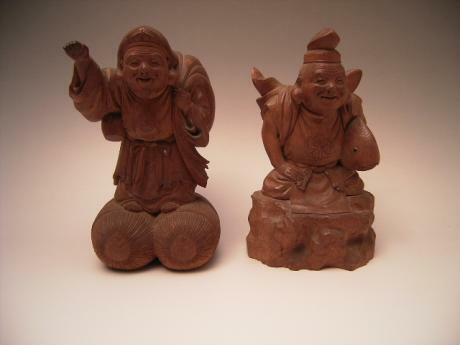 The OKIMONO measures approximately 11 1/4" wide, 7" tall and 5 3/4" d..
Japanese Edo Period wooden carving of DAIKOKU and EBISU. 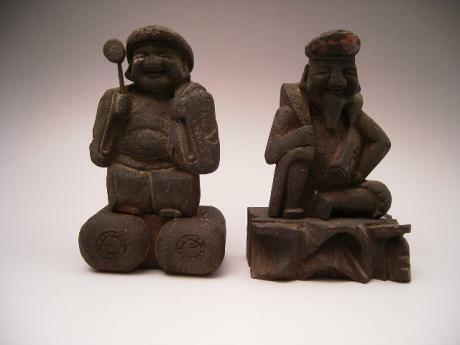 Daikoku and Ebisu are made from carved wood and are covered with natural patina from years of accumulation. Both figures are separate from their stand. Daikoku measures 5 3/8" tall, 3 1/4" wide and 2" deep. Ebisu measures 5 3/8" tall, 3 .. 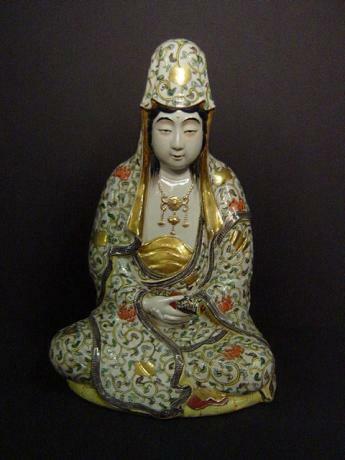 Early 20th Century figure of KANNON done in KUTANI ware. The figure is done in colorful detail. 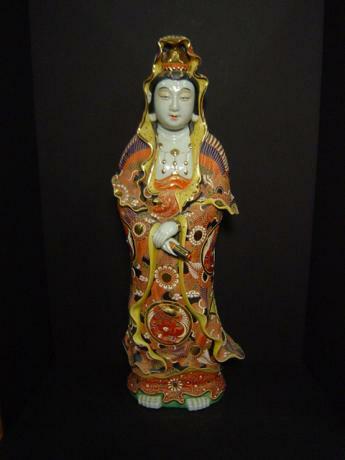 Figure stands 29 1/2" tall, 9" wide and with a depth of about 8". 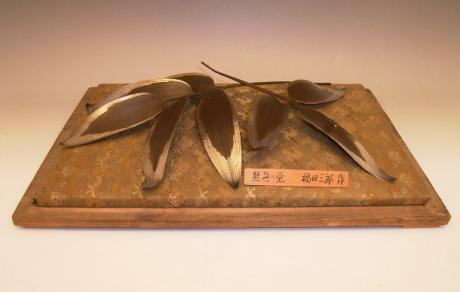 Japanese early 20th century bronze and silver bamboo leaves with firefly. The OKIMONO is done in beautiful detail and realism. The OKIMONO is titled "KUMAZASA NI HOTARU" or "Firefly on the bamboo". 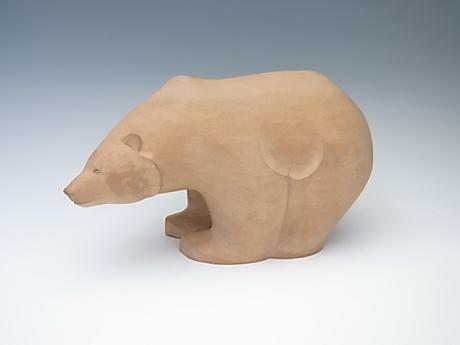 Kumazasa is a type of bamboo that typically grows where bears live in Japan and also the type of ba..
Japanese late Meiji Period cherrywood carvings of Daikoku and Ebisu. The beautifully carved pair was made by master carver INOUE JOSHU. Both Daikoku and Ebisu are signed by the artist on the bottom. Daikoku measures 6 1/8" tall, 3 1/4" wide and 3 3/4" deep. Ebisu measures 6 1/8" tall, 3 3/4" w..